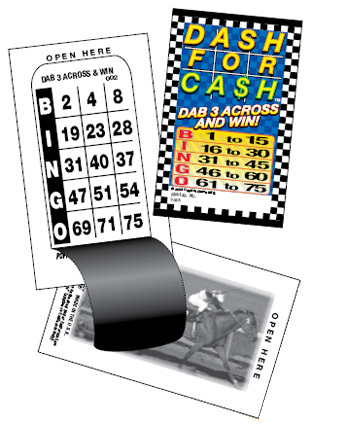 Bingo Event Promo Games are unique games that offer unlimited ways to play. You set the price of the tickets, you decide the prize payout, and you determine your own profit! With 450 tickets per deal, Dash For Cash is sure to be a hit with your players. 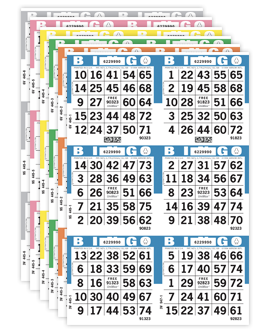 Prize Option Example: if the first prize is awarded on the B row, the B numbers are disqualified and the remaining numbers are called (I, N, G, & O), until there is a second winner.